Although I submitted this album to thebandbrokeup, I'm only merely a fan of it, never a member. 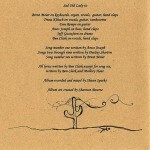 The album is the debut, and only, recording by Sad Old Lady, originally called Sad Old Lady from the South. From what I've observed, the band started with Ben Clark on vocals and Brent Meier on keys/vocals. It later went on to include Tricia Klitsch on guitar/vocals, Dan Rempe on guitar, Amos Joseph on bass, and Jeff Gustafson on drums. One song on the album was written by Joseph, one song was by Meier, and the rest were written by D.J. Scharton, who did not actually play with the band. 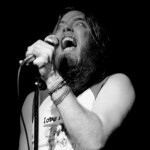 The album was recorded and mixed by Shaun Sparks, who apparently lost all the SOL files due to an unfortunate hard drive crash. 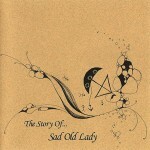 The image for the album's cover is not actually the cover, but it serves to supply an idea of what Sad Old Lady was like live.